Predicting the impact of new technology is a very inexact science. Technological change proceeds by fits and starts and the outcomes are rarely what its authors expect – who for example, could have predicted the rise and swift demise of the fax machine, or the marriage of phones and cameras, or that an app built on couch surfing could upend the hotel industry? Despite this we still need to at least try to ask the right questions if we want to at least attempt to influence the direction of change. The seemingly unstoppable rise of autonomous vehicles (AVs) provides a potent example. There is an increasing realisation that AVs are likely to become a reality, though there is still considerable debate on how, when, and how quickly this will occur. What is certain however is that the impact of AVs will be profound. The advent of their predecessor provides abundant evidence for the impact of new mobility technologies; every aspect of human life over the last century or so, especially for people living in cities, has been substantially affected by cars. While the impact of AVs will be different, our experience with cars gives us some clues regarding the potential spread and scale of disruption. Three major reports released in the past 12 months have looked at these issues from different perspectives. The first, Rethinking Transportation 2020-2030 by James Arbib & Tony Seba from the think tank Rethinkx, is full of dramatic predictions regarding the potential for AVs to be universally adopted within the next decade, and the consequent social changes. 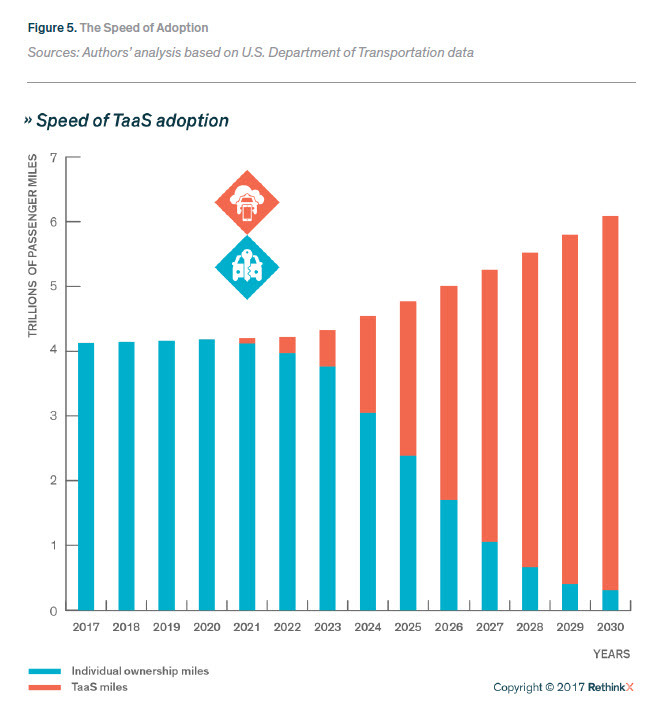 Speed of adoption of Transport as a Service (TaaS). Source: James Arbib & Tony Seba, Rethinking Transportation, 2020-2030. 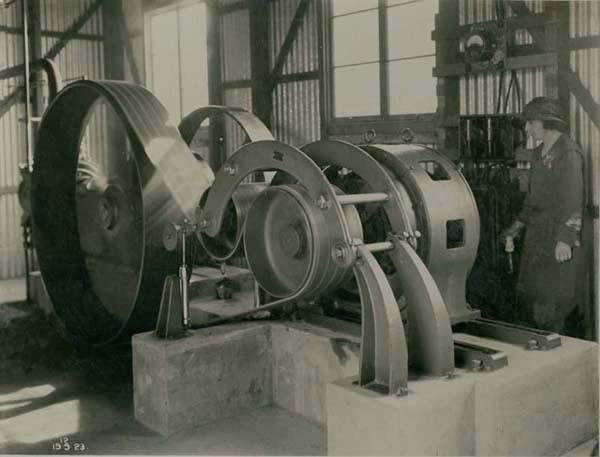 As the 75th anniversary of John Bradfield’s death on 23 September 1943 approaches, I’m writing a series of posts exploring some of the ideas outlined in his 1924 engineering doctorate thesis and their relevance for Sydney a century later. Please see part 1 for the background to this series. In his preface to his thesis for the degree of Doctor of Science in Engineering which documented his work on the Sydney Harbour Bridge, construction of the underground railway and electrification of the rail network John Bradfield acknowledges the contribution of only two people. Despite Bradfield’s generous recognition, “Miss K.M. Butler” seems to have largely slipped from public view. She doesn’t deserve this fate, not only because of her substantial contribution to the building of the bridge, but also because her story provides a fascinating perspective on the lives of working women in the early 20th Century, with some lessons for us today. Recently I spent 10 minutes or so at Sydney’s busy suburban Strathfield Station while changing trains in the evening peak hour. As I waited I watched the synchronised dance across the station’s eight platforms as double-deck trains arrived, disgorged commuters, picked up more passengers and departed, all relatively quietly and with little fuss. On my platform the movement was almost hypnotic, as four or five identical Waratah trains arrived in succession, stayed exactly the same length of time and then departed little more than two minutes apart. Whatever the state of the ageing Strathfield Station or the wider flaws of the Sydney transport system, the calm passage of these trains, all less than 10 years old and each carrying up to a thousand passengers, gave the impression of a reasonably modern, functional urban rail network. My thoughts turned to John Job Crew Bradfield, the engineer whose name is inextricably linked with the development of Sydney’s transport infrastructure in the early 20th century. I don’t believe Bradfield had any special connection with Strathfield station which was opened in the 1870s, but he had a large hand in creating the electrified railway network which passes through it. He also oversaw the planning and construction of the two other key components of this network, Sydney Harbour Bridge and the underground railway in Sydney’s CBD. Later when I was looking up some facts on Bradfield I realised that the 75th anniversary of his death on 23 September 1943 is approaching. In a modest commemoration I’ve decided to revisit not so much about the man himself, or indeed his achievements, but rather what he wrote about them. I’ll be concentrating in particular in this occasional series on Bradfield’s thesis for the degree of Doctor of Science in Engineering, which he was awarded by the University of Sydney in 1924. Martin Place – the “new” Sydney Central? 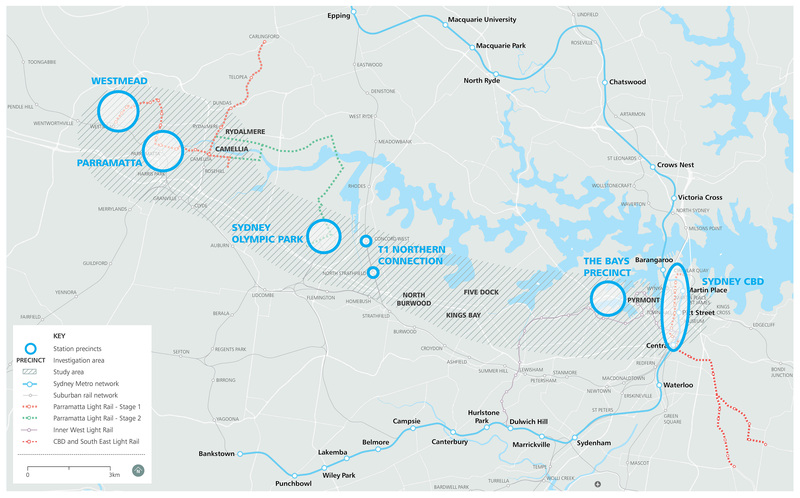 There have been a few developments since my earlier posts on plans for the proposed Sydney Metro West, with a strong business sector push for the metro to provide a high-speed link between Sydney CBD and Parramatta and apparent confirmation of the location of a key CBD station. As readers of this blog will know I have written extensively (and often critically) about the Sydney Metro. In July 2016 I published a series of articles comparing four major Australasian CBD rail projects – Auckland, Brisbane, Melbourne and Sydney. While I plan to update this soon to reflect progress on all four projects since then, I thought I’d make a different comparison: London’s Crossrail (which will be renamed as the Elizabeth Line later this year, though I’ll use both names interchangeably here) and the Sydney Metro. Why compare these two projects? They share a number of similarities, and of all the antipodean projects listed above, only the Sydney Metro approaches the scale of the Elizabeth Line – and in some important aspects exceeds it. And while there are a number of major metro expansion projects in other cities overseas, most notably China and India, Crossrail is one of the few that is directly comparable with Sydney’s new line (and also one of a limited number for which comprehensive information is available in English). There are also some interesting and fundamental differences. The following discussion briefly outlines each project and their key features are also summarised in the following table. The Elizabeth Line is 118 kilometres in length, with two branches at each end and over 21 kilometres of mostly new tunnelling. It runs from Heathrow Airport and Reading in the west through central London to Shenfield and Abbey Wood in the east. There are 41 stations, all accessible, with 10 new ones and the remainder upgraded. Of these, 24 will provide interchanges with existing rail services. 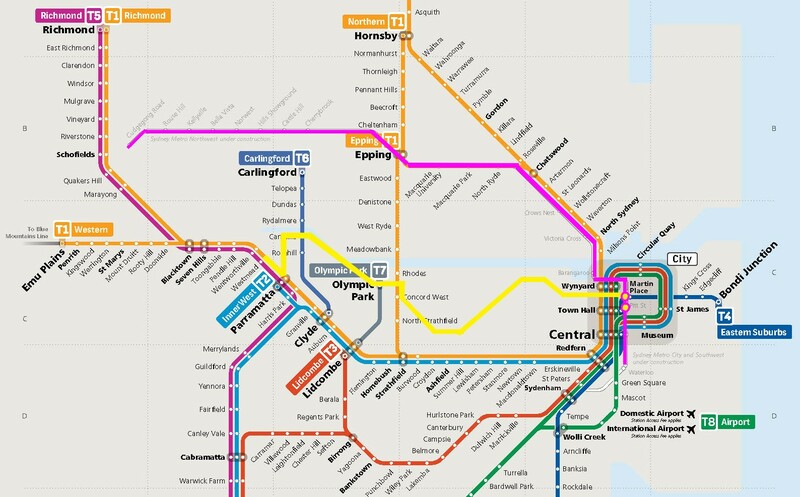 What if the NSW government set up a new state-owned business corporation and handed it sweeping powers that duplicated those of several established authorities, including the power to prepare strategic plans, buy, develop and sell land, run other businesses (including bus services) and, incidentally, manage a railway system? Well, this isn’t a hypothetical question, as the government has just pushed the Transport Administration Amendment (Sydney Metro) Bill 2018 through parliament. The legislation, which passed yesterday with little fanfare, amends the Transport Administration Act 1988 to constitute the Sydney Metro as a corporation. It also creates the Sydney Metro Board to run the new entity, which can undertake all the activities outlined above. Why has the government done this? Setting up a government-owned corporation to oversee the development and operation of a privately-operated metro is not so surprising for a Coalition Government, but why give this new body a range of powers that goes well beyond ensuring the metro trains run on time? Not surprisingly the opposition thinks it has the answer – the metro is being “fattened” for privatisation, a claim the government strenuously denies. However, the government may have another agenda for the Metro, one which may prove to be even more controversial. The legislation starts with a clear commercial focus. The “orderly and efficient development of land” near metro stations, depots and stabling yards is given equal top billing as a key objective alongside the delivery of “safe and reliable metro passenger services”. In my last article I looked at the broader political and policy perspectives of NSW Opposition Leader Luke Foley’s recent announcement that if Labor wins the 2019 State election it will “accelerate the construction” of the Sydney Metro West line, scrapping current Government plans to convert the Bankstown to Sydenham rail line to form part of the Sydney Metro City and Southwest (Metro CSW). Two-line option: build the two Metro lines separately as currently planned, but without the Bankstown line conversion. The key decision is around where the Metro CSW line is terminated. Combined single-line option: alter the plans for the both metros to combine them into a single line. This involves deciding where the two lines would join and what changes would need to be made to their alignments. Postponing or cancelling the Metro City and Southwest: the most drastic alternative which would postpone or even abandon the Metro CSW and divert all funding to Metro West. This is extremely unlikely to occur as preliminary work for the line has already started, but it is a theoretical possibility. It’s worth having a look at these options and the practical issues involved in more detail. This assumes that Labor would adopt the current plans for Metro West largely unchanged. 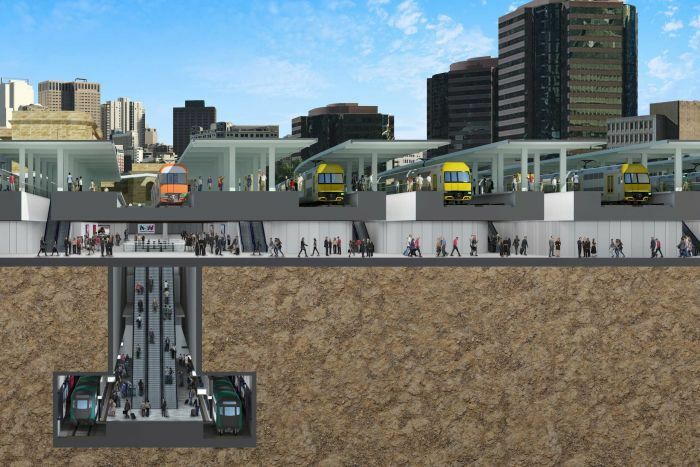 The Metro CSW would also be built from Chatswood at least to Central with a CBD interchange between the two lines as currently planned, but without the incorporation of the Sydenham to Bankstown line.